Why is this man still here? On these pages and elsewhere, there's been a lot of discussion about the changes brought about when the Knicks hired Donnie Walsh and Mike D'Antoni to run the basketball operations. After years of Isiah Thomas' machinations, deliverance appeared to have finally come with two men who had a plan and an approach that would bring the team back to respectability. What happened? Whatever you believe about what happened on Wednesday night, all would agree that it is more befitting a carnival sideshow than it is a professional organization of any kind. Reportedly, D'Antoni, days after saying he was done with Marbury and found him a distraction, told Marbury that he wanted him to be the starter for the rest of the season and asked the guard to suit up and play. And, just like the first time, Marbury allegedly expressed his discomfort with that situation and the team played without him. You know what they say about insanity, it's doing the same thing over and over again and expecting a different result. In an interview with the New York Post, he's careful to say that he never refused to play. 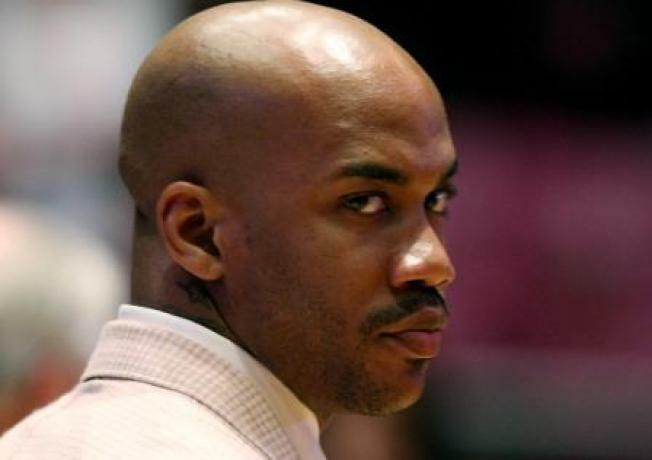 "If you say I gotta play, I'm going to play," Marbury said. "If he said I have to play, guess what, I'm going to get on the court and play, period. If I refuse to play, I'm getting suspended. I never told him I'm not going to play. Those words never came out of my mouth. That's insubordination." Both sides are so totally wrong in this situation and acting like such idiots that they deserve each other. It may seem like a fine line Marbury's walking but if he had outright refused to enter a game, the team would surely suspend or fine him. That would represent a breach of contract, as opposed to a breach of conduct. Those breaches are Marbury's raison d'etre and will surely continue as long as he's in the NBA. The Knicks had ample time to resolve the Marbury issue after the new regime took over and chose to act like they were doing nothing until announcing that Marbury wasn't playing in the most humiliating way possible. How, then, can you believe any idea that D'Antoni was prepared to not only play Marbury, but start him for the rest of the season? About the only thing that's for certain in all of this is that Marbury and the Knicks are each going to do whatever they think is in their best interests, with no regard for the other party. The funny thing is that the best thing for both of them is to end this relationship today.